Urban spaces have become a crucible for the transformations of the global era. The Committee on Global Thought’s research on cities focuses on identifying these new formations, describing their impact on the global and local scale, and developing innovative strategies for improving urban life. On Oct. 12, 2015, the Committee on Global Thought and Columbia Global Centers | Istanbul convened the fourth in a series of roundtable discussions supported by the Ford Foundation to reflect on the contribution of arts and culture to individual and community life in global cities. Led by Vishakha N. Desai, the project centers on measuring and augmenting the impact of arts, culture and quality of urban life. A growing consensus among civic leaders suggests that the presence of cultural institutions and networks is vital to the health of any global city, old or new. It is less apparent how to build and sustain robust cultural infrastructure. 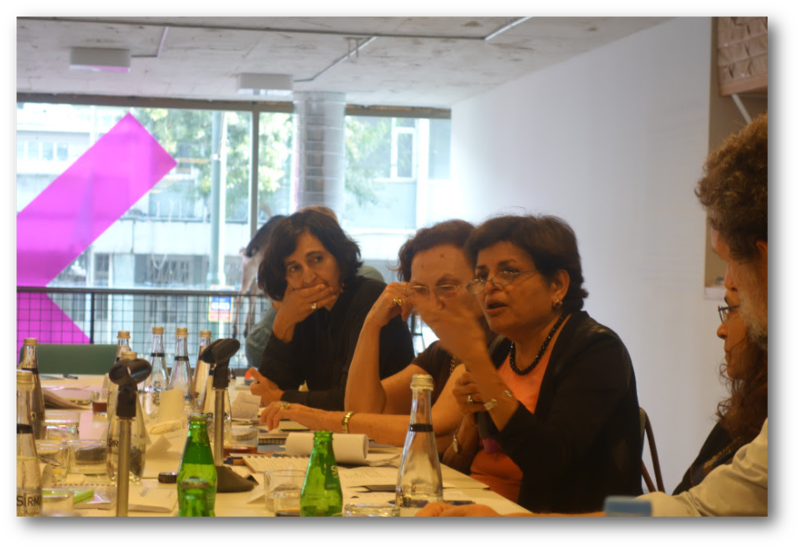 Istanbul offered another important vantage point, after workshops in New York, Rio, and New Delhi, to assess key issues affecting the ways in which the arts relate to the vitality of cities. Participants in the Istanbul meeting included leading figures active in shaping Istanbul’s cultural scene – curators, scholars and representatives of arts institutions and civil society organizations. The discussion revealed that, despite the vibrancy and global renown of Istanbul’s art scene, significant impediments exist in its cultural environment. Although some stem from long-standing, unresolved structural issues, the most serious challenge arises from the polarized political climate in Turkey, where the appreciation of the freedom of creative expression and its value to society is being undermined. A pertinent question to consider for all global cities is how arts can flourish in increasingly restrictive political environments. Under such conditions, is there an optimal balance between private and public sector engagement in the arts, and what are the benefits and risks of different ways of positioning a cultural institution or an artist? An additional focal point in the discussion related to inclusion and the dichotomy between ‘high art and popular culture’ – a theme that resonated in all the cities involved in this series. This year the project will move to its second incarnation, a focus on the changing place of museums in global cities as mechanisms of promoting social equity on the local level as well as connectivity to the greater global community. This new project will be directed by Vishakha N. Desai and Sharon Marcus, Dean of the Humanities for the Faculty of Arts & Sciences. Sun. Mar 13, 2016 Desai - Who Owns Art?